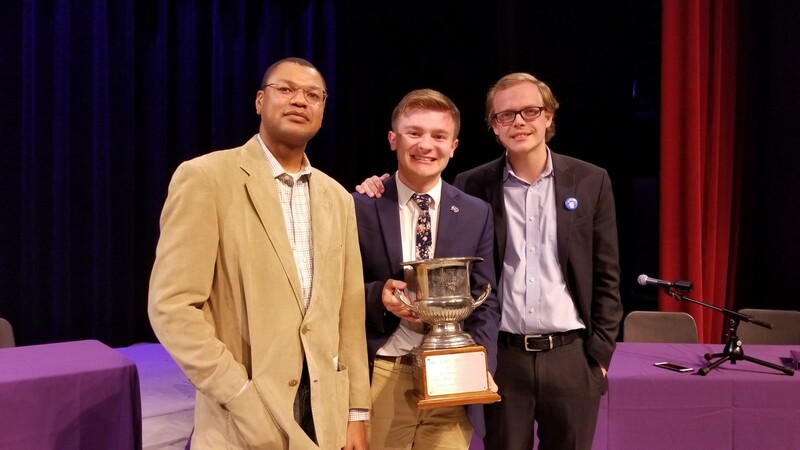 UCA debaters Dalton Cook and Jacob Holland won first place at the James Madison Commemorative Debates held in April. Cook and Holland were the top-ranked team after three preliminary rounds of competition. For finishing in first place, UCA was awarded the Madison Cup and a $5,000 donation from the Arthur N. Rupe Foundation. Cook and Holland will also receive $2,000 each.